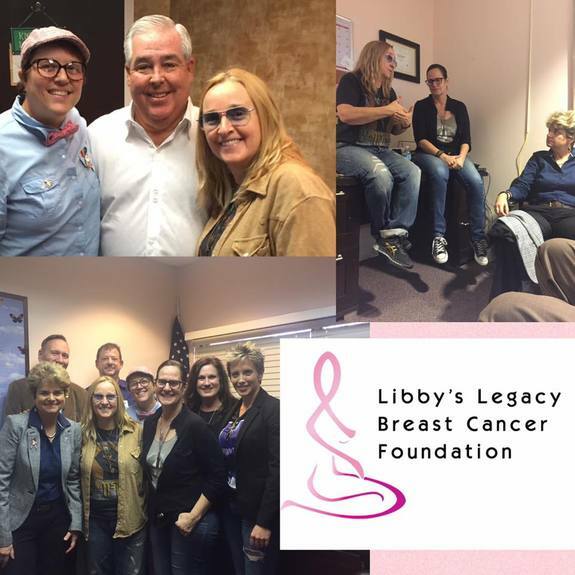 Libby’s Legacy Breast Cancer Foundation is an organization that was founded by Robin Maynard after her mother passed away from stage IV breast cancer in 2006. Robin was on the Melissa Etheridge cruise and I had the pleasure of getting to know her and her story while on board, as did Melissa. The Melissa cruise was magical, in so many ways, friends were made, there were incredible musical performances, and some very special people were aboard the ship. You see, Libby’s Legacy is based in Orlando and is just one block from Pulse night club. When the tragedy occurred at Pulse, Robin jumped into action to help however she could. So when Flying Dutchman Travel, the Melissa cruise charter, wanted to donate some cabins to charity, Robin was the perfect fit with her connections to Pulse and Libby’s Legacy. She was given forty free cruises to donate to Pulse night club & breast cancer survivors. And she did, without hesitation, saying she felt like Oprah Winfrey exclaiming, “You get a cruise! And you get a cruise!” as she gave people the good news. While we were at sea, Melissa & Linda lead a breast cancer discussion which included the topic of health and wellness. Some of what they spoke about was eating organically, acid vs. alkaline diets and drinking tons of water. During the question and answer period, Robin stood up and began talking about different ideas she had and ways to help breast cancer patients who can’t afford healthy food. She mentioned a project she was working on called the Pink Garden Project. It involves growing healthy, organic food in community gardens, plots that are tended to by survivors, for survivors. Melissa was excited and intrigued and said emphatically "That's going to change the world!" 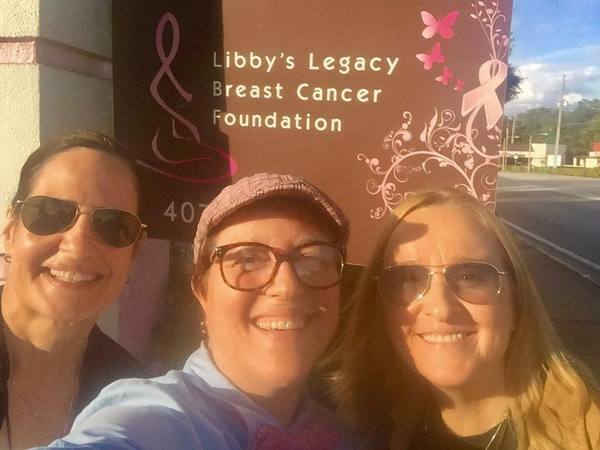 Well, this past week, Melissa was performing in Florida and during one of her days off she and her wife, Linda drove up to Orlando to visit with Robin and volunteer at Libby's Legacy. During their time in Orlando, Melissa, Linda and Robin walked over to Pulse night club and paid their respects. 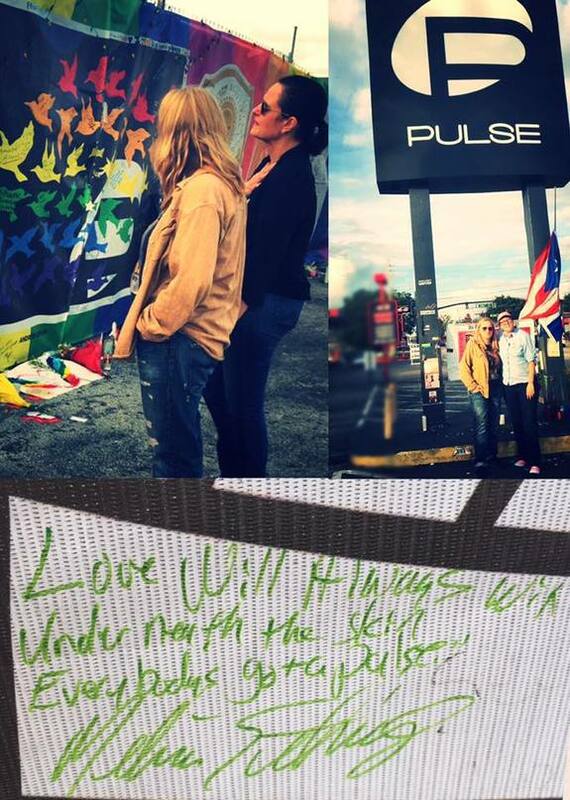 Melissa wrote some lyrics from Pulse on the fence art and signed it. They then had a meeting with the City of Orlando Commissioner and discussions about making the Pink Garden Project a reality, something both Melissa and Robin are very passionate about. 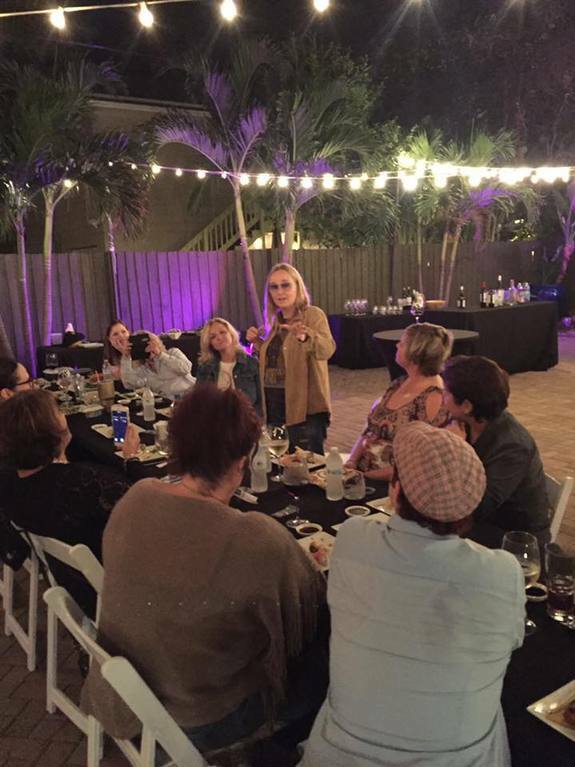 Robin organized a fundraising dinner with Melissa and Linda that brought in $3500.00 for Libby’s Legacy. 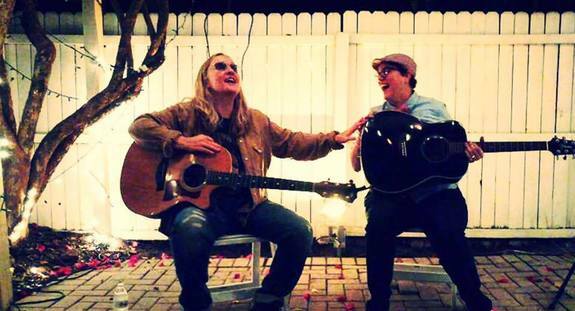 They then capped off the day with an intimate three song jam session. It was an amazing and productive day. So you see, that cruise was more than just fun. Connections were made, friendships were forged and new projects and ideas are put out to the Universe. So much good was on that ship. I can't wait to see the Pink Garden Project flourish. I also can't wait to see what the next Melissa cruise will bring.